Knowledge and understanding of fluid therapy is an essential skill which veterinary nurses utilise each day as they administer and monitor intravenous fluid therapy to patients. An ability to calculate fluid rates and assess the patient receiving fluids is vital to ensure safe and appropriate administration leading to improved patient wellbeing and healthcare outcomes. This article summarises how to calculate fluid rates as well as considering the physiology of body fluids. Clinical signs of dehydration are reviewed along with administration and monitoring of fluid therapy and an outline of the various types of fluids available for administration. Correct fluid balance is essential to life; understanding what constitutes body water volumes in a variety of animals whilst considering the challenges of different life stages and a patient’s disease status are key to maintaining homeostasis within the body. Fluid therapy is required to address fluid loss and this may take many forms: shock, blood loss, dehydration, systemic disease. It can also be used as a planned therapy to manage blood pressure and provide supportive care during anaesthesia and surgery. Combining the information from a patient’s history and physical examination allows the patient’s approximate degree of dehydration to be assessed. An evaluation of lab tests may also support clinical findings, particularly urine specific gravity, packed cell volume, total protein, electrolytes, blood urea nitrogen and creatinine. Once the degree of dehydration is approximated then the fluid deficit can be calculated and an appropriate fluid rate determined. When developing a patient’s fluid therapy plan a variety of information needs to be considered. 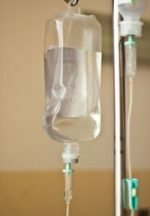 The article lists a number of questions to consider and provides an example of the steps to take when calculating fluid replacement and developing the fluid therapy plan. It is important to note the units described in this paper refer to two different systems and the fluids described are products available in North American markets. Developing an understanding of the physiology of body fluids is important for both vets and vet nurses as well as being key to treating patients and making appropriate choices of fluid type and the calculation of fluid administration rates. Fluid therapy is an integral part of emergency and critical care medicine. By meeting a patient’s fluid deficit and assessing their ongoing need, patient outcomes can be improved.